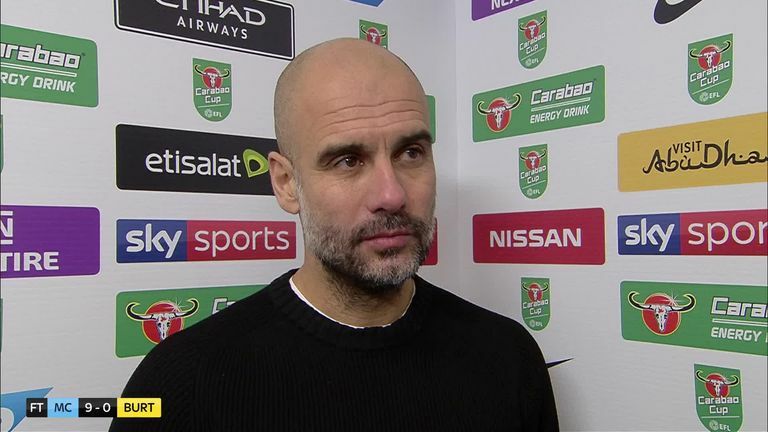 Guardiola: "We are faster and quicker and in the first minute they can keep that rhythm, but at the end it always happens, they are a little bit down and that's the reason why it was easier in the end." 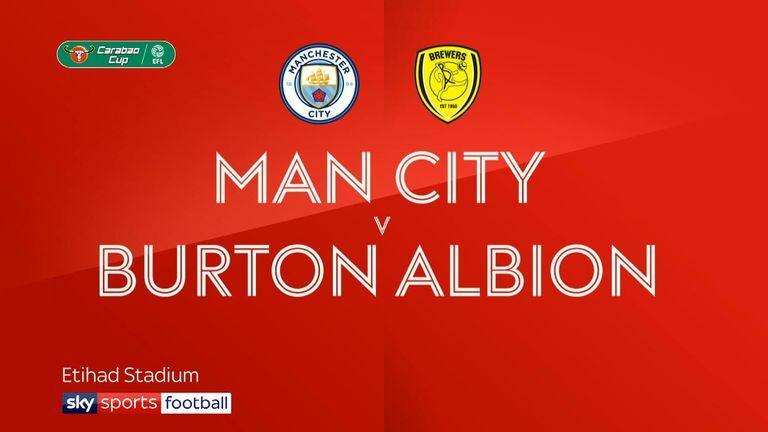 Pep Guardiola insists the pace of his Manchester City side was the difference as they thrashed League One side Burton Albion 9-0 in the Carabao Cup semi-final first leg at the Etihad Stadium on Wednesday. Gabriel Jesus struck four as Manchester City powered towards a second consecutive Carabao Cup final. 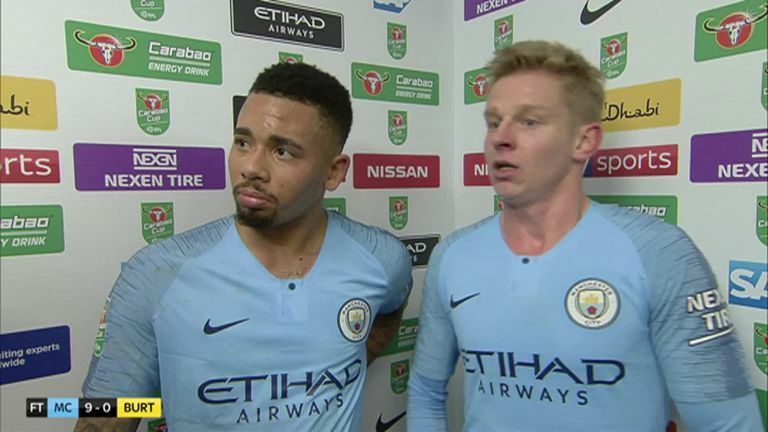 The tone for a one-sided semi-final first leg was set as Kevin De Bruyne opened the scoring after just five minutes, with Jesus adding two and Oleksandr Zinchenko another before the break. Jesus grabbed two more in a 13-minute second-half blitz that also saw Phil Foden and Kyle Walker hit the target before Riyad Mahrez rounded off City's biggest win since they thrashed Huddersfield 10-1 in 1987. "It's not easy to play these kinds of games against lower teams," Guardiola told Sky Sports. "We spoke about taking it seriously and we started quite well. The period between the first goal and the second goal we had problems. We didn't win the second balls and we were a little bit passive in these situations. "But after the second and third goals everybody was easy. In the second half we increased, and we knew that in the end the big difference in this competition is the rhythm. "We are faster and quicker and in the first minute they can keep that rhythm, but at the end it always happens, they are a little bit down and that's the reason why it was easier in the end." Guardiola went on to congratulate Burton for the part they have played in this season's Carabao Cup. "The result was good, and we are already in the final," the Spaniard said. "Of course, we have to play the second leg, which we are going to take seriously but we are happy to be there again like last season. "Congratulations to our opponents Burton because they've had an incredible tournament. "They beat Burnley, Middlesbrough, Aston Villa and teams in a better position, so they have to be so proud. They did so well." Guardiola then revealed he was going to share a glass of wine with Burton manager Nigel Clough following the game, revealing his admiration for Clough's father, Brian. "I know how important his father was in English football," he said. "Brian Clough was a genius. "When you realise what he did at Nottingham Forest, getting promoted to the [First Division}, winning the [First Division and winning the [European Cup] two times. It's incredible. "An incredible man and an incredible manager so it will be a pleasure to share some minutes with his son." Finally, there would have been a few concerns when De Bruyne came off after 58 minutes against Burton before heading straight down the tunnel. The Belgium international, who scored the opening goal, has only just returned from a knee injury but Guardiola allayed any fears over a recurrence of the injury. When asked if De Bruyne had picked up a problem, Guardiola said: "No, I didn't know this. "No, he played two or three games and Phil (Foden) has played so good in the last games and I want to give him minutes."